Why do I need to clean my fuel system? Are you experiencing any of the following problems with your vehicle? Poor cold start, Rough Idle, Misfire, Hesitation, Surging, Stalling, or Poor fuel economy? You should consider having your fuel system service performed. 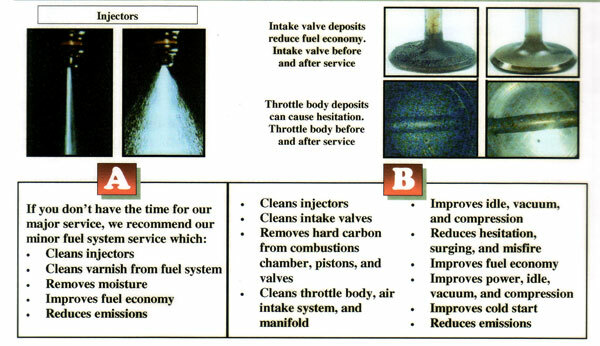 Servicing your fuel system will help remove deposits and clean the engines valves.